Carlton Farms in Williamsburg VA has been locally owned and operated since 1992. The owner fell in love with the story of Secretariat in 1973 and entered into the racing business in the late 70s. After the 70s, he longed to have horses a little closer to home and decided to get back into the horse industry. Since then, our stables by the river has flourished into a wonderful and breathtaking escape. 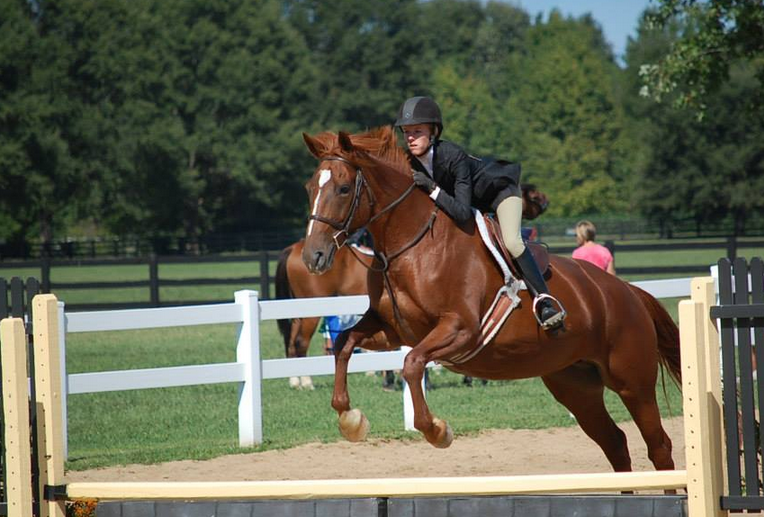 Chelsie Liming has been coaching and showing professionally for more than 18 years and is a certified trainer for the U.S. Hunter Jumper Association. She has trained and shown numerous A-rated, quality VPBA-registered ponies while managing Foxlair Farm in Spotsylvania, Va. Chelsie has competed at various prestigious horse shows, including the Washington International Horse Show, the Upperville Colt and Horse Show, the Middleburg Classic, the National Horse Show, and VHSA Finals. Chelsie also assisted in training collegiate members of the University of Mary Washington equestrian team and successfully coached the Hazelwild Farm Interschool team (Fredericksburg, Va.) to the championship in 2013. Our Trails Are Now Open! Our trails are located where the Battle of Greensprings occured and located right around the corner from Jamestown Settlement. Each trail ride lasts anywhere from an hour and twenty minutes to an hour and thirty minutes. And they are meant for anyone! If you have never ridden before, our trails are perfect for you! 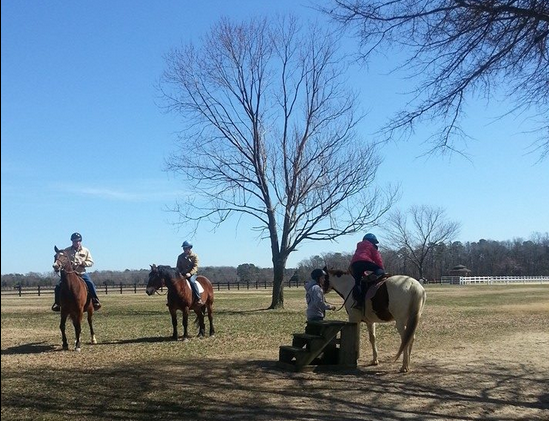 Call (757) 220-3553 for pricing and to schedule your trail ride today! We offer 56 12×12 stalls with automatic waterers in each stall, two wash stalls with hot and cold water, and utility/tack rooms. We have a brand new space at our facility for our boarders and guests. A brand new Guest Lounge! With heating and air, this lounge will be a great room for boarders and guests to come and hang out! Carlton Farms has a spacious indoor arena that is about 16,000 square feet. This area has a loft overlooking the arena and an indoor lounge where spectators can watch and observe other riders. We have one lit outdoor ring and one bigger ring used for shows and lessons right behind the barn. When not used for lessons, these can be used by boarders at anytime. Take the Virtual Tour of our Facility!